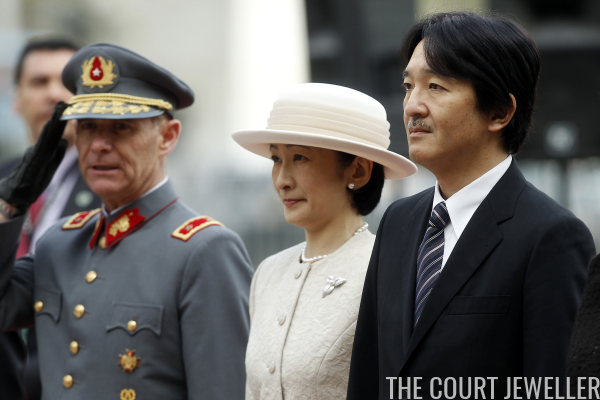 The Prince and Princess Akishino, the younger son and daughter-in-law of the Emperor and Empress of Japan, are currently on a week-long visit to Chile. Let's have a look at the jewels that Kiko wore for the start of her South American trip, shall we? 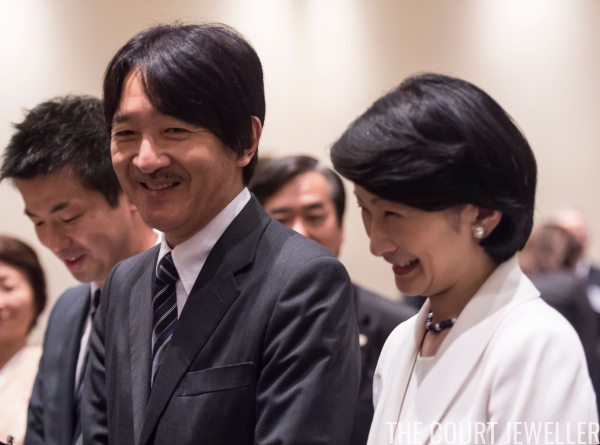 On Tuesday, Fumihito and Kiko greeted Chilean citizens of Japanese descent in Santiago. Kiko wore a modified version of the usual daytime Japanese imperial jewelry "uniform" -- pearl earrings and a pearl necklace. 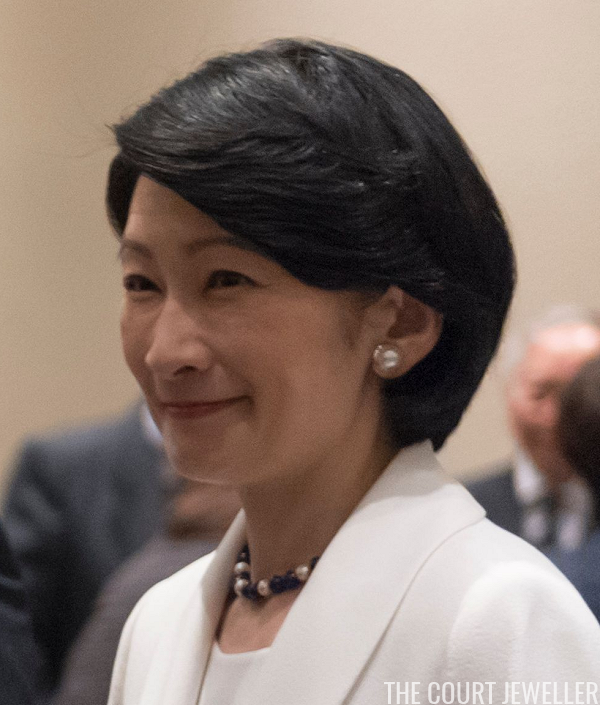 For this event, though, Kiko's button earrings were a bit larger than the usual ones worn, and her necklace was multicolored, with some of the beads appearing to have a distinctive dark blue hue. 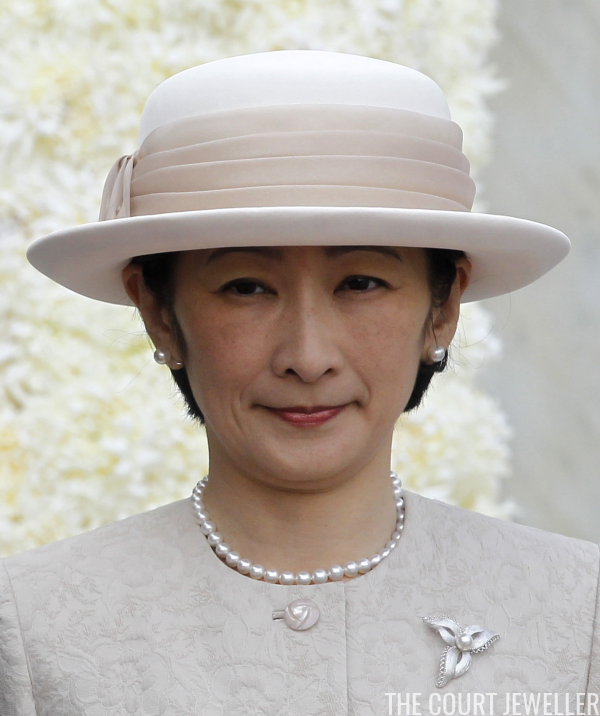 For Wednesday's wreath-laying ceremony at Santiago's monument to Bernardo O'Higgins, however, Kiko stuck to the more traditional white jewels worn by Japanese princesses at day engagements. 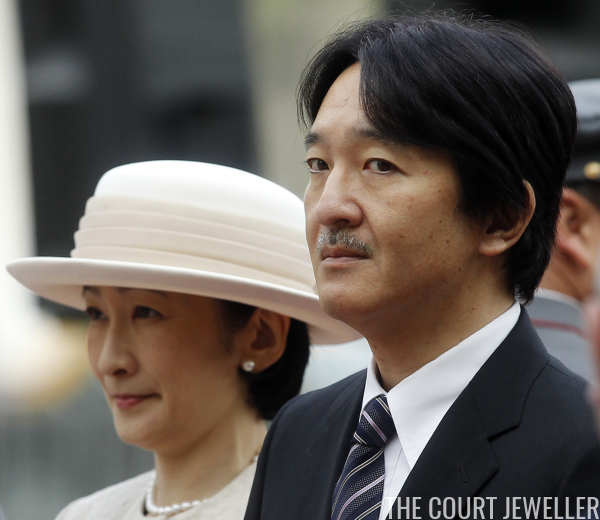 Here's a close look at her pearl earrings, single-stranded pearl necklace, and brooch. The silver-toned brooch features embellished, abstract leaf designs with a single pearl in its center.